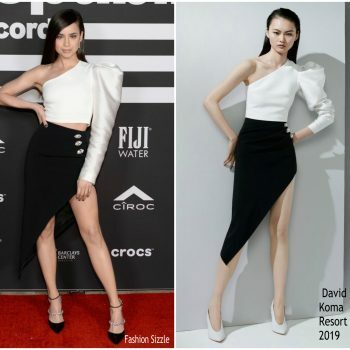 Sofia Carson wore a David Koma Resort 2019 outfit to the 2019 Republic Records after party. 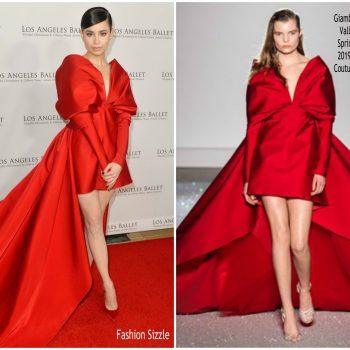 Sofia Carson attended the 2019 Golden Globe Awrdson Sunday (January 6) She wore a Giambattista Valli Fall 2018 Haute Couture dress. 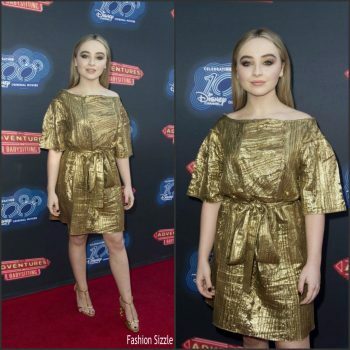 Sofia Carson attended the Mickey’s 90th Spectacular celebration held at Shrine Auditorium on Saturday (October 6) in Los Angeles. 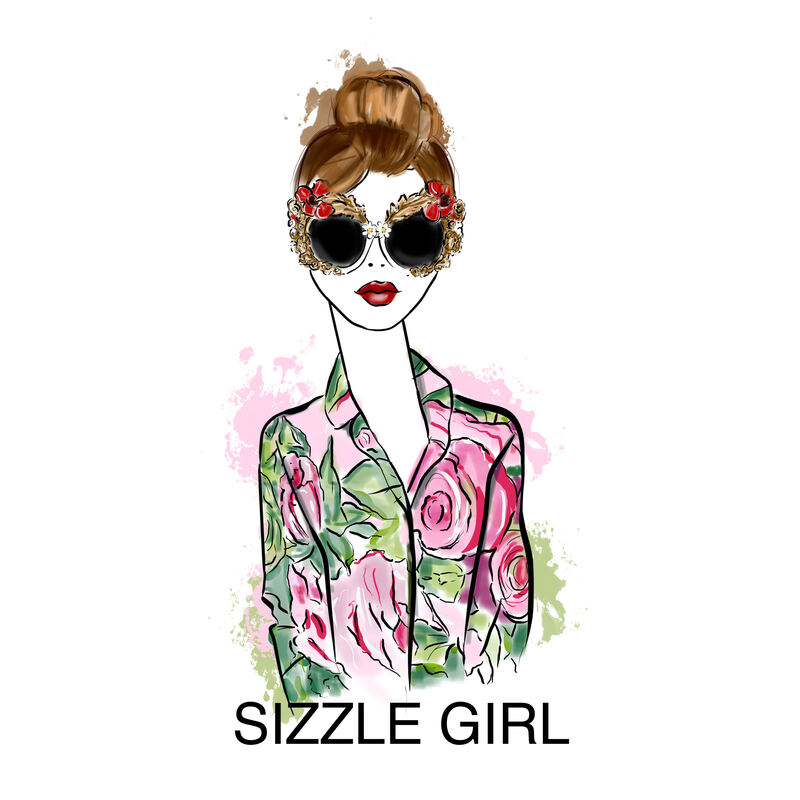 She wore a Monique Lhuillier Spring 2019 dress. 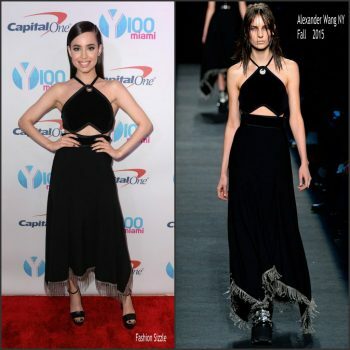 Sofia Carson was in attendance at the 2018 MTV VMAs on Monday (August 20) in New York City She wore a Carolina Herrera Fall 2018 gown. 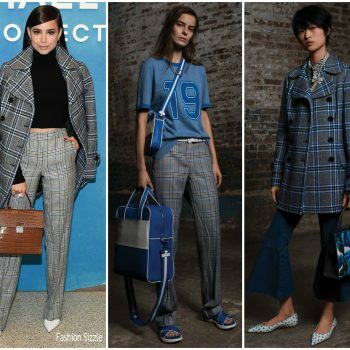 Sofia Carson attended the Unicef Summer Gala on Friday (August 10) in Porto Cervo, Italy. 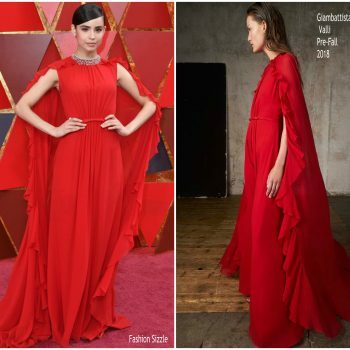 She wore a red silk Giambattista Valli Pre-Fall 2018 gown. 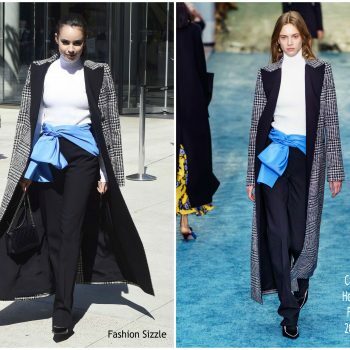 Sofia Carson along with Selena Gomez celebrated WeDay on Thursday (April 19) in Inglewood, California. She wore a Philosophy di Lorenzo Serafini Spring 2018 styled with a pair of Giuseppe Zanotti heels. 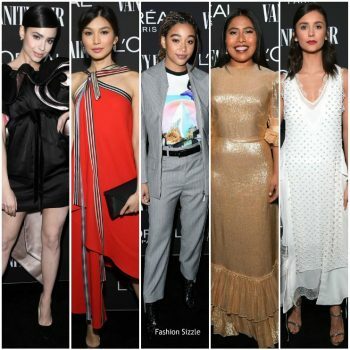 Sofia Carson attended athe 12th Annual Los Angeles Ballet Gala at the Beverly Wilshire Four Seasons Hotel on February 24, 2018 in Beverly Hills, California. 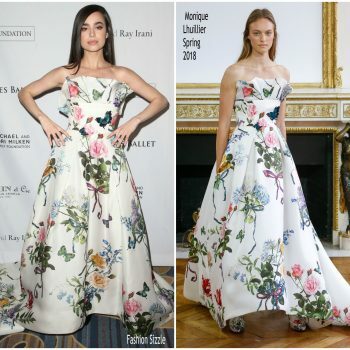 She wore a floral print Monique Lhuillier Spring 2018 gown. 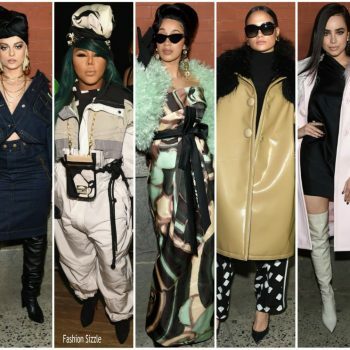 Sofia Carson attended the premiere of ‘Pitch Perfect 3’ on Tuesday (December 12) in Hollywood, California. She wore a Francesco Scognamiglio Spring 2018 midi trumpet dress ​​. 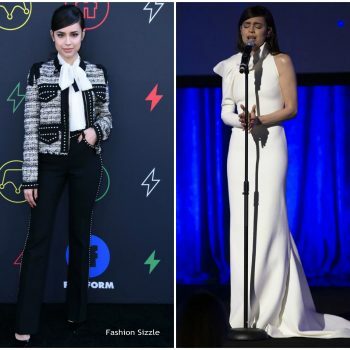 Sofia Carson attended the premiere of Star Wars: The Last Jedi on Saturday night (December 9) at the Shrine Auditorium in Los Angeles. 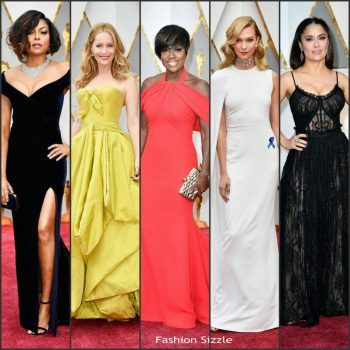 She wore a black Giambattista Valli gown. 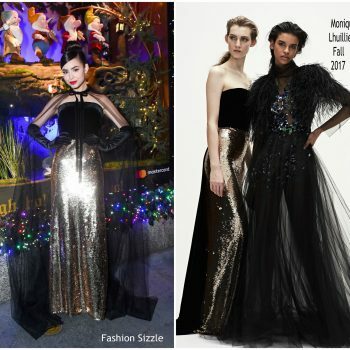 Sofia Carson attended the 2017 Person of the Year gala on Wednesday (November 15) in Las Vegas, Nevada. She wore a J Mendel Fall 2017 gown. 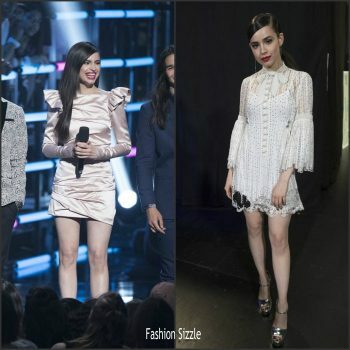 Sofia Carson made a guest appearance at ‘Despierta America’ to promote the Disney film, ‘Descendants 2,’ on Tuesday (July 18) in Miami, Florida. 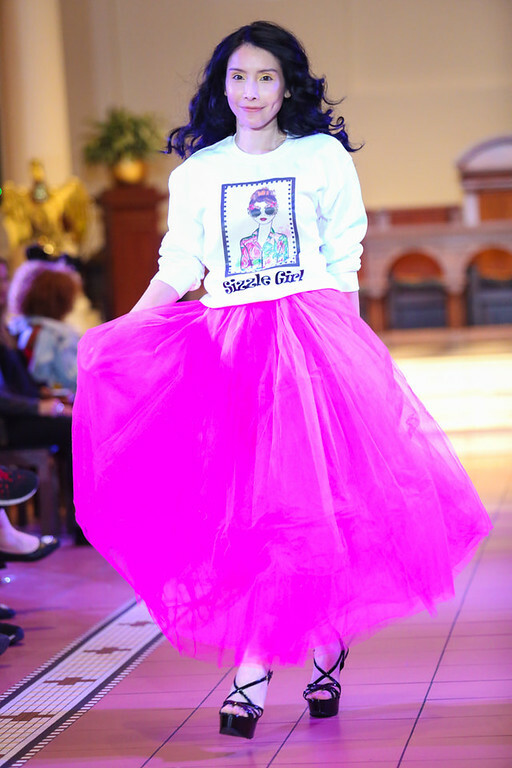 She wore a David Koma Spring 2017 midi dress. 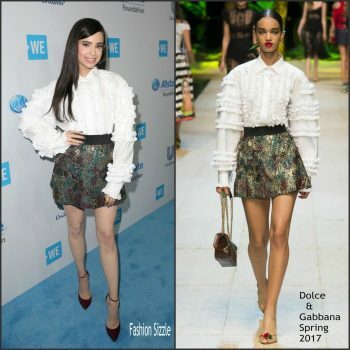 Sofia Carson attended the premiere of ‘Descendants 2’ on Tuesday (July 11). 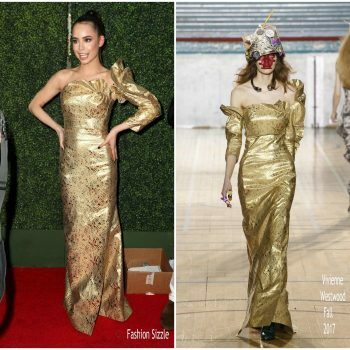 She wore a gold Vivienne Westwood Fall 2017 gown. 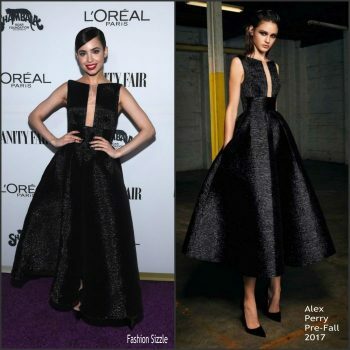 Sofia Carson attended the the Vanity Fair and L’Oreal Paris Toast to Young Hollywood on Tuesday (February 21) at Delilah in West Hollywood, Calif. She wore a black Alex Perry Pre-Fall 2017 tea-length gown.